Offering you a complete choice of products which include jubilee steel clamps and jubilee stainless steel clamps. 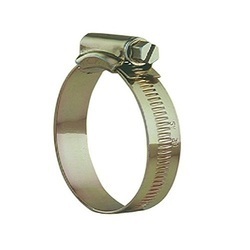 We provide the Jubilee Steel Clamps to the clients. 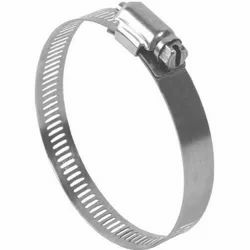 Made to BS: 5315/IS 4762- Klampwel Mild Carbon Steel clamps(Serrated Type) are made as per BS: 5315/ & IS 4762 and are most suitable for the best engineering applications. Material: The material used in the manufacturing of KLAMPWEL brand Clamps are procured from well reputed manufacturers having quality assurance certificates. Finish: All component parts of the KLAMPWEL brand Clamps are given a smooth polished finish ans are free from burrs and sharp edges. Corrosion Resistant: Klampwel Mild steel clamps are protected against corrosion by elctroplating coating of Zinc in accordance with classification No.Fe Zn 12 of IS 1573/1970. We provide the Jubilee Stainless Steel Clamps to the clients.